Mapping and information gathering is often at the heart of Project Watershed projects. 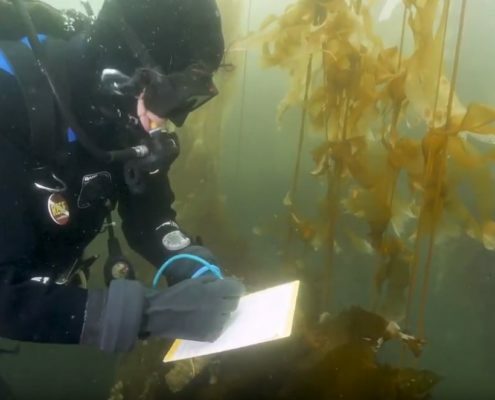 Environmental features that are mapped have a better chance of being protected and good information is an important component of decision making. Currently Project Watershed’s mapping capabilities are ran through the Mapping Centre, which does fee for service work. Contact our Mapping Coordinator, Caila Holbrook for more information or a quote. For a complete list of our reports, links and other resources please visit Our Resources. 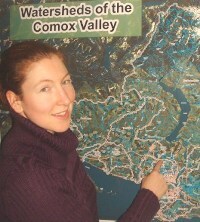 Comox Valley Project Watershed Society has been conducting mapping and inventory of sensitive habitats in Comox Valley Watersheds since its inception in 1993. Mapping and inventory methods have evolved over the years, progressing from hand drawn lines on cadastral maps to our current state of the art, standardized, mapping & data collection methods. 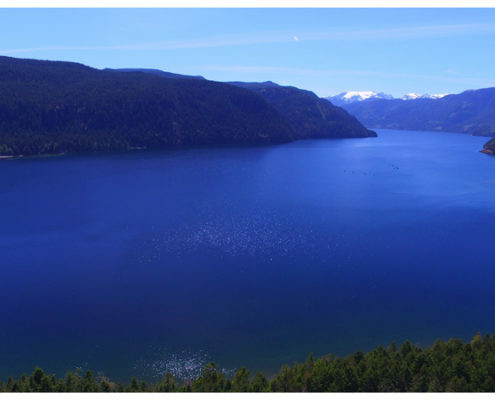 Rapid population growth and the corresponding urbanization of watersheds in the Comox Valley have led to large areas of environmentally sensitive land being utilized for development purposes. 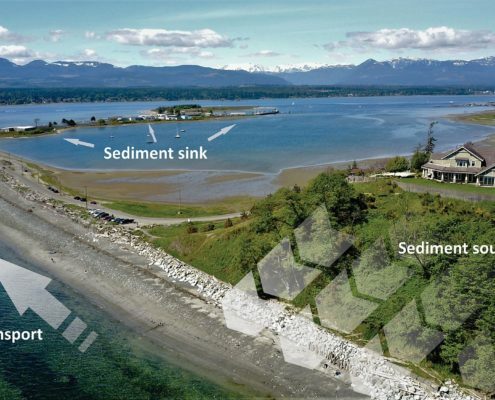 Fish and wildlife habitats in streams, wetlands and foreshore areas are becoming more and more degraded as a direct result of these pressures. In response to this situation Project Watershed created the Sensitive Habitat Stewardship Program in 1995. ~Provide a role model for other (bio)regional organizations interested in similar work. We continue to work towards these objectives. 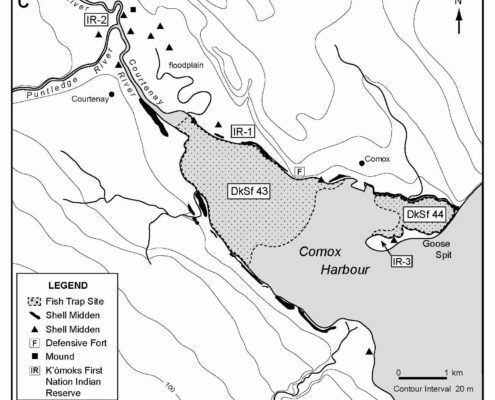 Since 1995 we have amassed a large database on sensitive habitats in the Comox Valley. Our field geographic information has been collected by certified GPS professionals and volunteer groups led by professionals. Other information has been shared with us by various private and government agencies. 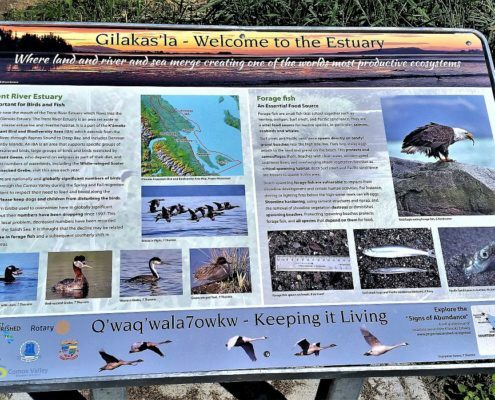 Because of our expertise in this area we have been involved in many local planning processes and often share data with local governments and other agencies to improve land use planning, increase protection of habitats and aid in restoration. 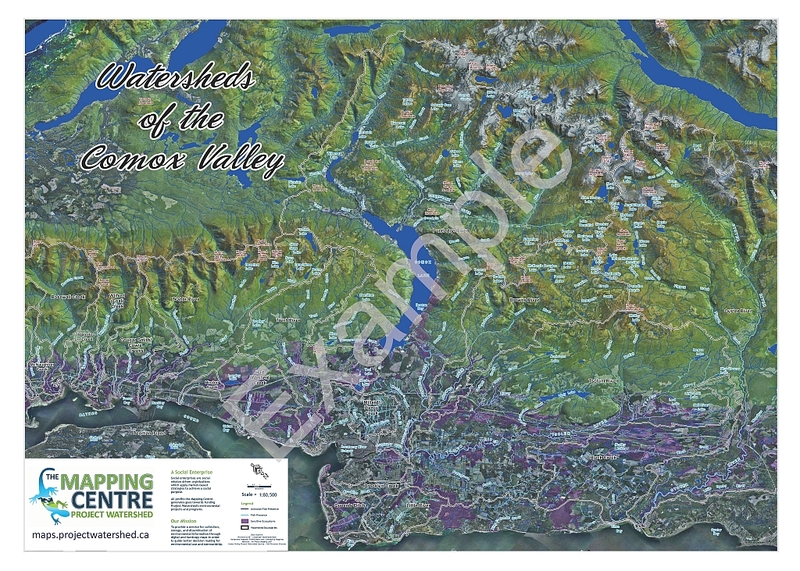 In 2009, Project Watershed launched the Mapping Centre as a body to coordinate Project Watersheds mapping and to do fee for service work. Following the non-profit model The Mapping Centre is not a for-profit business, instead it is what is called a social enterprising body. All surplus the Mapping Centre generates goes towards funding Project Watershed’s environmental projects and programs. Through the Mapping Centre, private citizens and community organisations have access to our mapping expertise. For more information read about the Mapping Centre below. Our mission is to provide a service for collection, storage, and dissemination of environmental information through digital and hardcopy maps in order to guide local government, community members, developers, industry and environmental groups in better decision making for environmental use and stewardship. Contact Caila Holbrook, our Mapping Coordinator for more mapping and equipment related queries. Mapping and Inventory: TMC will apply its GPS/GIS experience and capabilities in the development of habitat inventory methodologies, databases and data dictionaries as needed. Our combined GPS/GIS capabilities facilitate accurate and clear presentation of spatial data. 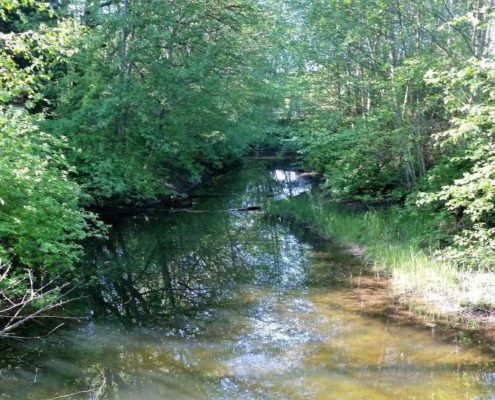 GPS: Our technicians are experienced and knowledgeable in applying GPS data collection to assessments of stream, wetland and shoreline habitats. Our staff hold certification in GPS field data collection as well as data processing and management. GIS: TMC will also provide GIS services. Field collected GPS data, PurView derived airphoto interpretations and other acquired data such as orthophotos, sensitive ecosystem information, and various watercourse datasets are integrated in a Geographic Information System (GIS) with other data to create specialized map products tailored to each of our client’s needs. 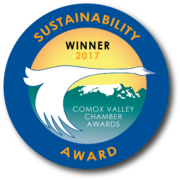 Training: Our staff and contractors will continue to offer many training opportunities within the Comox Valley community and beyond.